Best of luck to our cousin Brian Schmidt and his wife Andrea as they perform with The Rolling Stones tonight! Brian is the conductor of the Duke University Vespers Ensemble. He is the son of Dennis Schmidt, grandson of Arnold Schmidt, great grandson of Henry Schmidt Jr., 2xgreat grandson of Henry Schmidt Sr., 3xgreat grandson of Conrad Schmidt, 4xgreat grandson of Dietrich Schmidt Sr., 5xgreat grandson of Johann Friedrich Schmidt, 6xgreat grandson of Johannes Schmidt Jr., 7xgreat grandson of Johannes Schmidt Sr., and 8xgreat grandson of Hans Heinrich Schmidt. 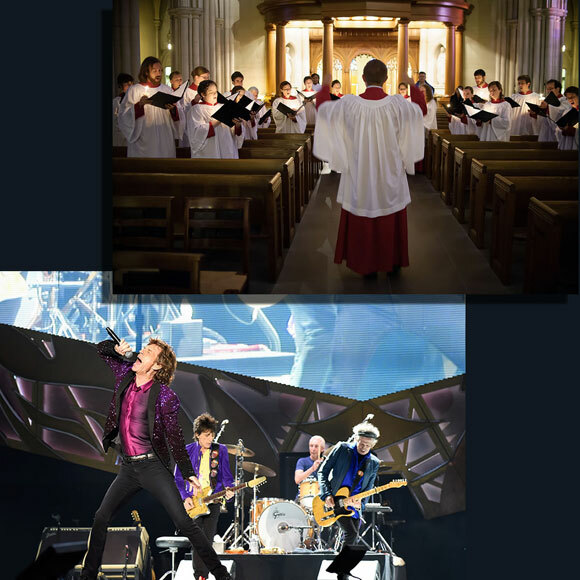 UPDATE: Here is the actual video of cousin Brian conducting the Duke Choir on stage with The Rolling Stones!